Friends of the Earth has launched a High Court legal challenge to Heathrow expansion. This is on the grounds that the Airports National Policy Statement (NPS) fails to address climate change. 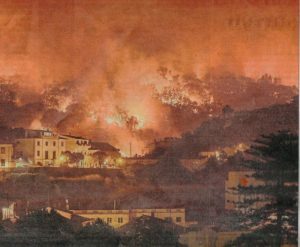 This picture – of the fires in Portugal – illustrates why FOE feels the need to challenge the government on Heathrow expansion.